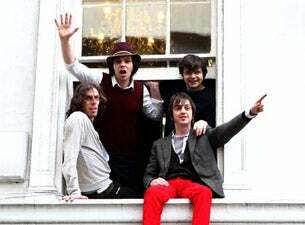 Supergrass were still in their teens when they released their debut single Caught By the Fuzz in 1994, winning praise from all sides of the burgeoning British alternative music scene that came to be known as "Britpop". Their debut album I Should Coco followed in May 1995 and acheived number one status in the album charts, backed by the success of singles Alright, Mansize Rooster and Lenny. Follow up In It For the Money showcased the diversity of the band's sound, moving from the rock-tinged Richard III to the poptastic Pumping On Your Stereo and the soulful Sun Hits the Sky. The band's eponymous third album was released in 1999, followed by 2002's Life On Other Planets, while latest album Road to Rouen was released in 2005.